Has your startup got an innovative solution that could help Africa's development? Submit an application to accelerate your growth! Are you convinced that digital innovation is the path to achieving sustainable development? Have you created an innovative product or service linked to FinTech, health, environment, energy or agriculture? Do you want to create Africa's digital transition ? African and French startups – it's over to you! 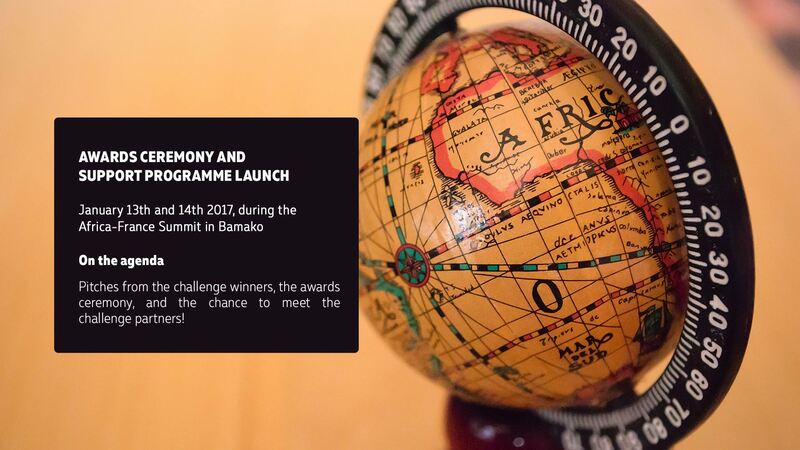 The 10 winning startups will have the opportunity to present their solution at the 27th Africa-France Summit in Bamako! African startuppers, French startuppers: don't wait – apply today! 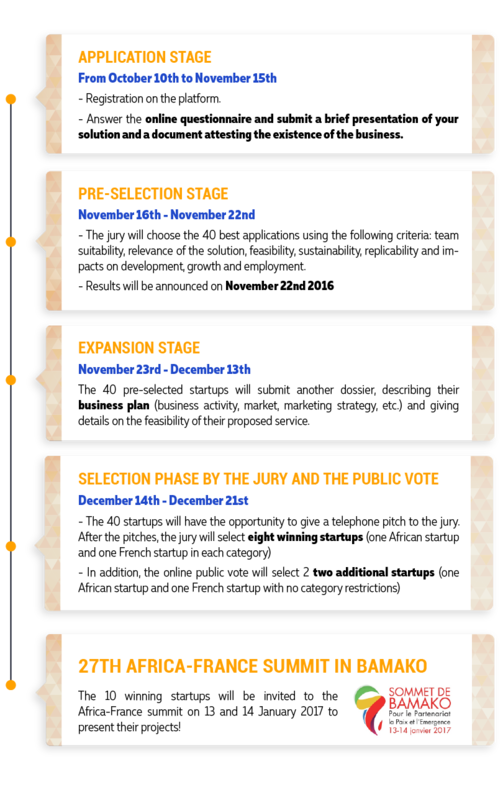 The jury will choose one African startup and one French startup from each category. As well as these eight winners, one African startup and one French startup will be chosen via a public vote. Accounts, loans, payments, insurance – do you want to provide access to banking services to as many people as possible? Do you offer tools to boost SMEs' and entrepreneurs' economic activity? Do you want to revolutionize banking services through blockchain or P2P platforms? Submit your solution for improving people's health. Do you offer new ways to bring medical care closer to people through mobile phones? Do you provide health players with new tools to make their work more effective? Do you have a solution to increase access to healthcare and medication for the poorest people in society? The Agence Française de Développement (AFD, the French Development Agency) and the Banque Publique d'Investissement (BPI, the French Public Investment Bank) recognize the importance of digital innovation and startups in inventing new solutions to support sustainable development. Thanks to its astronomical boom in mobile technology, Africa is not just an increasingly connected continent – it has also become a land of digital innovation. 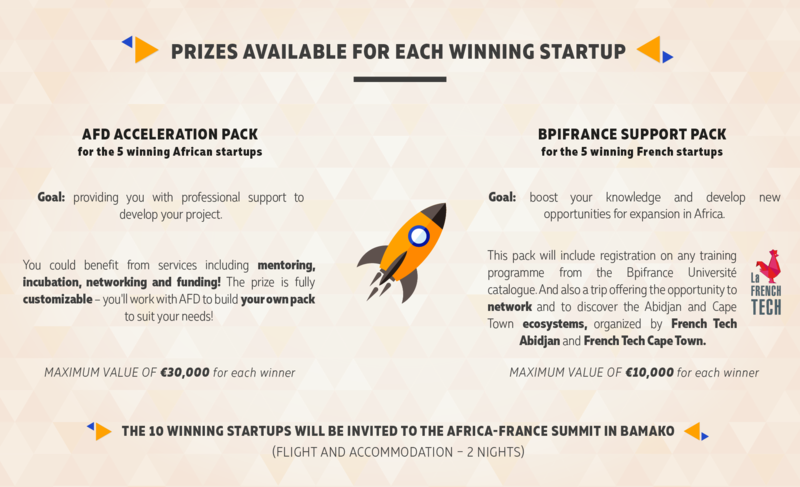 The AFD and the BPI want to encourage and support African entrepreneurs by organizing a competition open to both French and African startups.